The most well preserved sites from the heydays of flax and linen production are found in Växbo. The small flax sheds and workshops in Trolldalen bear witness to the flax-growing peasantry’s utilisation of hydropower. Växbo Lin was founded on this cultural heritage site in 1989. At first, production was centred on the spinnery, but after a few years we began weaving as well. All our products consist of 100% linen. We are 13 employees who weave, sew and sell our beautiful linen products. 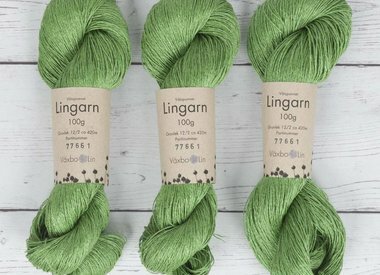 Our vision is that Växbo Lin will continue to develop, produce and market linen products while creating desire and value for both customer and worker, and to carry forth this unique handicraft tradition. Three words characterise our activity: Växbo Lin is –Genuine—Personal—Innovative.